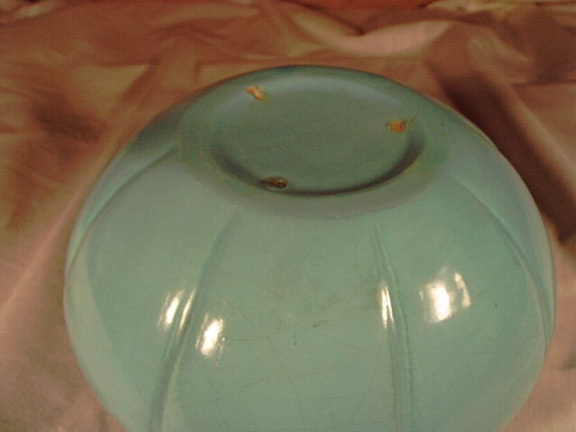 Description: Early Haeger bowl shown on p. 100 House of Haeger 1914-1944. This piece probably dates to the early 1920's. 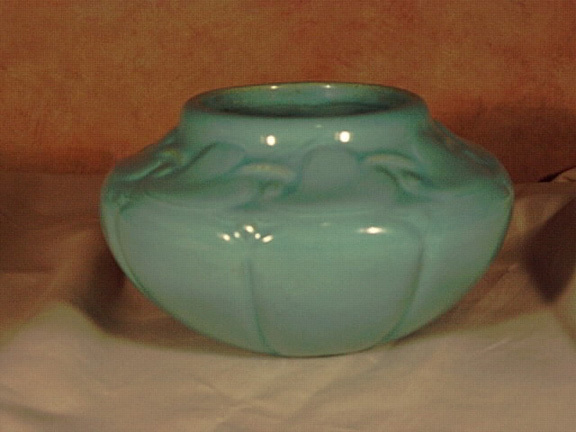 Rich blue agate glaze. Some crazings as can be seen in the 2d pic. Some stains inside. 3.5 inches tall, 6 inches overall diameter.